The Lurie Cancer Center supports care for a broad range of cancer types thanks to its dedication to comprehensive research, a distinguished and dedicated faculty and staff, a world-class teaching program and its commitment to making ongoing advances in medical, surgical, radiation and interventional oncology. The National Cancer Institute (NCI) has designated Lurie Cancer Center as one of only 50 Comprehensive Cancer Centers in the nation recognized for their “scientific leadership, resources, and the depth and breadth of their research." It's one of only two in Illinois. Lurie Cancer Center is a founding member of the National Comprehensive Cancer Network (NCCN), an alliance of 28 of the world’s leading cancer centers devoted to defining and advancing high-quality, high-value cancer care. It's the only member center in Illinois. Our doctors help write the NCCN patient guidelines for each cancer type. The Feinberg School of Medicine's Division of Hematology and Oncology in the Department of Medicine is certified by the Quality Oncology Practice Initiative, an affiliate of the American Society of Clinical Oncology, for meeting the highest standards for quality in cancer care. The Northwestern Medicine Hematopoietic Stem Cell Transplant Program is a leader in the number and types of transplants, performing over 350 transplants each year and resulting in outcomes exceeding the national survival rate. Northwestern Medicine Chicago Proton Center is the first and only proton therapy center in Illinois. Our OncoSET program is pioneering precision medicine in cancer. 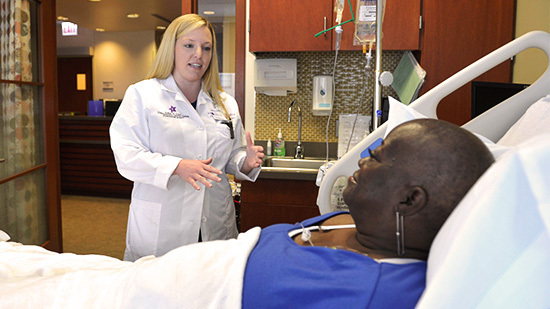 We’re committed to reducing the burden of cancer in the communities we serve. Together with our community partners and expanding networks, we are working to make a positive difference by increasing access to high-quality cancer information, prevention, screening and treatment. Lurie Cancer Center’s Office of Equity & Minority Health is vital to our efforts to eliminate cancer disparities, and enhance cancer research and patient care. 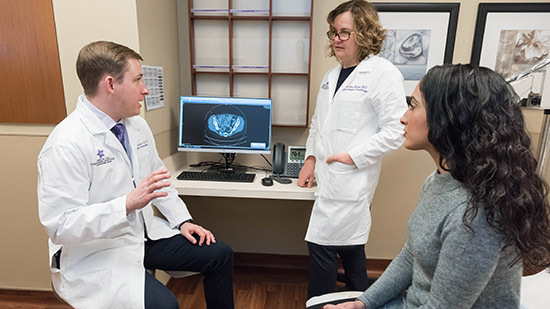 Cancer care at Northwestern Memorial Hospital, Lurie Cancer Center’s primary teaching affiliate, has been ranked first in the Chicago Metro Region and Illinois for six consecutive years by U.S. News & World Report. Our pediatric partner, Ann & Robert H. Lurie Children’s Hospital of Chicago, is ranked as the seventh best children’s hospital in the country and 12th in the nation for cancer care by U.S. News & World Report. Lurie Cancer Center is part of the Big Ten Cancer Research Consortium, a network of academic institutions working together on clinical trials that leverage the scientific and clinical expertise of each university. Four Lurie Cancer Center scientists received NCI Outstanding Investigator Awards in 2015-2016. We offer 15 shared resources and eight formal research programs to our scientists.